Students will print the letter "u"
Students will identify words that begin with the letter "u"
Gather the students together in your favorite storytime spot and share a book that has a prominent word beginning with "u" in the title. 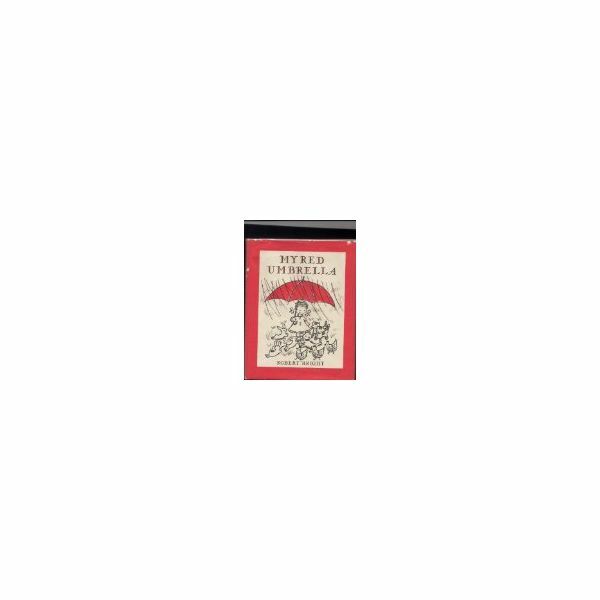 Discuss with the students the word umbrella. Ask them to make the shape of the beginning letter in the air. Make the sound of the letter. Demonstrate on chart paper or on the chalkboard how to print the letter. Point to it in an alphabet book or on a wall chart. Ask students what they notice about the little letter "u" and the big letter "U". Show them that you can hold a skipping rope by the handles and it makes the same shape as the letter. 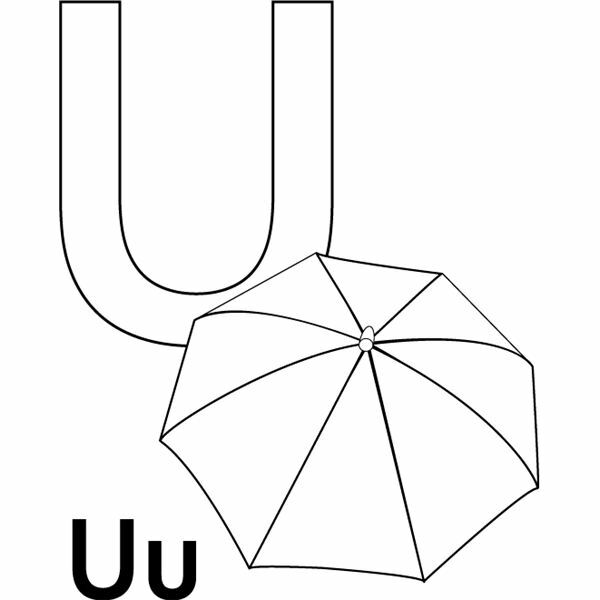 Umbrellas: Provide templates of a simple umbrella shape for the students to draw around. On large sheets of paper the students can make many umbrella shapes and color them with markers or crayons or paint. Add pipe cleaner handles. Upside-down: Provide large sheets of paper and ask students to draw a self-portrait. Cut it out. Turn it upside-down and paste onto another paper. Alternatively the children could use them as puppets moving around upside-down. "U" in the Sand Trays: In shoe box lids spread a thin layer of sand and encourage the students to make a big and a little letter "u" with their fingers. Have paper beside each lid and a pencil so that they can "record" their letters on the paper. Unicorns: Have available picture books featuring unicorns. Ask students to make their own picture of a unicorn and print the beginning sound under the picture. Invite them to dictate a sentence about their unicorn so that you or a helper can record it on their picture. Ask the student to underline the letter "U" in their dictated sentence. Uncovering the "U": Invite students to use wax crayons on light card and color heavily all over the card. They can use as many colors as they wish. Then they should color over the entire card with black crayon. Using a popsicle stick ask the students to scratch out an upper case "U" and a lower case "u". They will enjoy seeing the different colors emerge under the black overlay. Up: Provide magazines and catalogues and ask the students to cut out any pictures of things that go up. Paste onto paper and make a collage. Gather the students together and share some of their work. Teach the students the song "The Grand Old Duke of York" and march around the room going up and down at the appropriate times. Emphasize the word "up" as one of the "u" words. Put your hand under your foot. Put your hand under a book. Put a pencil under your foot. If there is time you may wish to end the session with another book that would reinforce the letter "U"
Does the student identify the letter? Does the student print the letter? Does the student associate the sound with words correctly? Does the student understand spatial directions?